We have been going to Disneyland since A was 18 months. She is now 4.5 years old! We have made so many amazing memories over the years. Some might think it’s a waste of money to go so often but if you think about it, the cost of an annual pass isn’t that much more for us than museum memberships, gas money, and entrance fees to zoos or jump houses. It’s cost effective for us and there’s always something new to discover or experience despite having gone over 300 times since 2015. YES, you read that right- over 300. Plus, it is sooo MAGICAL to see Disney through her eyes! We usually go for an average of 4-5 hours each time, sometimes longer. She has also figured out what she loves and what she doesn’t want to try. I do try to encourage her to try something new each time, but sometimes they just know what they want so I don’t push it. Sometimes we will bring food from home or go after a meal but these are a few of my preschooler’s favorite places to eat. Plaza Inn-We LOVE the fried chicken at Plaza Inn near Tomorrowland at Disneyland. You can get a three piece chicken meal for only $17.99 which comes with two sides. But did you know that you can also get the chicken pieces a-la-cart so if you only wanted chicken, you only pay $5.99/chicken piece. Bengal BBQ– We also love getting shish kabob/skewers at Bengal BBQ in Adventureland which ranges in price from $3.99-5.99 for veggie, chicken, steak or specialty skewers. Each skewer has quite a few pieces of meat on it so it’s quite filling and a great value. I try to encourage my preschooler to try new rides or new experiences but these are her tried and true favorite things to do that she can do over and over again. These are my preschooler’s Disneyland favorites at the various lands at Disneyland. Luigi’s Rollickin’ Roadters- my preschooler LOVES this ride! It’s such a cute dancing cars ride. DJ’s Dance & Dive- a few times a day, DJ plus some of the Flo’s diner waitresses have a dance party right in front of Luigi’s Rollickin’ Roadster. Check the Disneyland App for times! The Little Mermaid- She will literally ride this 3 times in a row if there is no line! 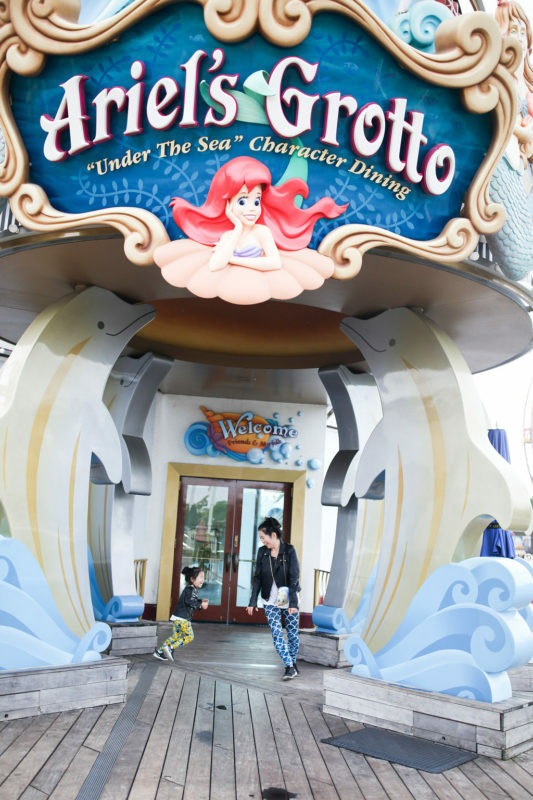 Redwood Creek Challenge Trail- There’s so much for kids to do. There’s a small playground, slide, bridges, and tire swing. Most things are open to kids of all heights with the exception of the tunnel slide and tire swing. Pixar Pier is slated to open June 23rd with new rides, entertainment, characters and stores around the Pixar theme! More information can be found here. 1. Download the Disneyland App. The Disneyland App is AMAZING with accurate wait times, ability to connect your photo pass, make dinner reservations and use MaxPass. We have not used MaxPass because a lot of the rides that we ride do not have Fast Passes associated with it. It is only a $75 add on to any annual pass or $10/day for pass holders. 2. Go on off peak days. 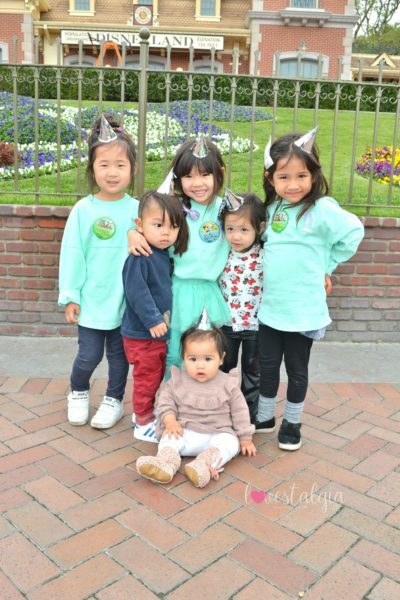 Since A is not in school full time, we usually go to Disneyland on either Tuesday, Wednesday or Thursday. Those days are typically NOT busy (but don’t quote me on that). The crowds can be unpredictable but typically, there are less people during the middle of the week unless it’s when schools are out for break. 3. Go earlier in the day. I say I’ll go in the morning but I end up going in the afternoon. And now that we have school for half the day a few times a week, we don’t make it in the mornings ever. My friends who actually go to Disneyland in the morning always tell me how they rode so many rides before 11. So if you are a morning person, go there at park opening for rope drop! 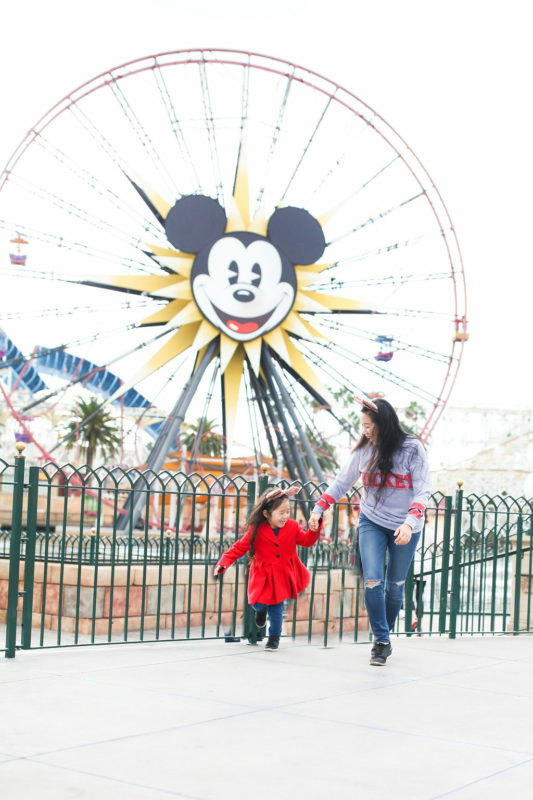 If you are not local and plan to stay at one of the three Disneyland hotel properties, you should take advantage of Extra Magic Hour. If you buy a 3+ day park hopper, you are allowed to enter the park early once on select days for Magic Morning Early Admission. 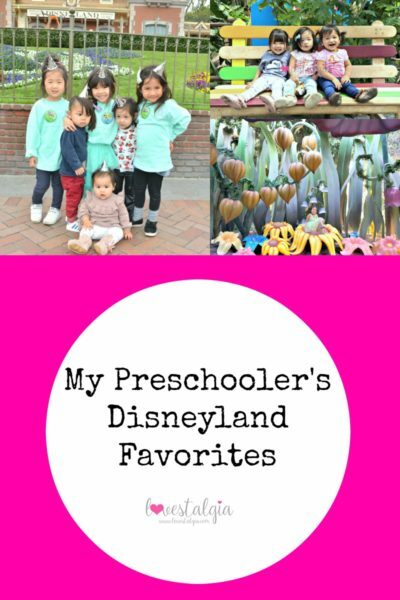 These are just a few of my preschooler’s Disneyland favorites. How about you? Are theses the same as yours? Check out my other Disney posts here! Photos by Annie Vovan Photography unless watermarked. WAHHhh that flashback pic of the girls! I have yet to try the bengal bbq place! Must do next time! I KNOW! I was looking at all these old pictures.. cried. LOL. Bengal BBQ is so good! A loves the steak and chicken! !